Here at Ron’s Auto and RV, our diesel truck repair mechanics have the expertise to give your diesel engine the proper care and attention needed to get the job done quickly and accurately. We specialize in medium-duty diesel truck and engine repair. From engines to transmissions to suspension on diesel trucks, Ron’s Auto and RV is experienced in everything diesel. Our diesel mechanics are experts on the following manufacturers: Ford, Chevrolet, Dodge, GMC, Isuzu, NPR, International, Mercedes Sprinter, Workhorse, Ford F53, Freightliner, Cummins and more. Why Ron’s Auto and RV for Diesel Truck Repair? Diagnosing problems or potential issues with diesel engines can be challenging because they tend to make a significant amount of noise during day to day operation. Our diesel engine specialists are extremely familiar with these systems and will guarantee your engine only gets the repairs it actually needs. 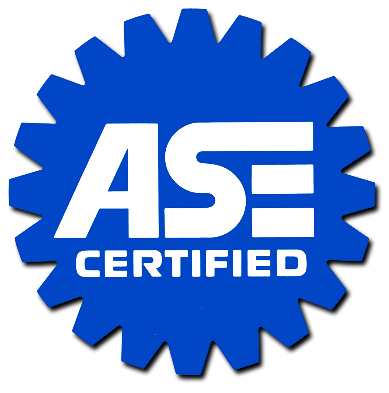 We also offer routine maintenance services for diesel engines. Every diesel engine manufacturer suggests contrasting maintenance procedures, and we encourage you to refer to your owner’s manual in planning and scheduling routine maintenance services. It is imperative that you keep all diesel engine components (glow plugs, fuel injectors, and turbochargers) in proper working order, to guarantee the longevity of your vehicle. Diesel engine systems are built with resiliency, reliability, and efficiency in mind. These systems are designed to use their own compression to ignite fuel as the air is compressed at a high compression ratio, which results in a great amount of heat. This compression causes the fuel to be instantly injected into the cylinder, where the fuel vapor is ignited. Instead of using spark plugs, diesel engines use glow plugs in order to be more efficient in cold weather. Glow plugs are different that traditional spark plugs, as they heat up rapidly to get your diesel on the road faster. Additionally, turbochargers help your diesel engine system run even more efficiently by allowing more air into the combustion chamber resulting in improved miles per gallon consumption. We are a family owned and operated business happily serving Vancouver, WA and the surrounding areas. Call us now to get your free quote or to set up and appointment today!